New York State’s Department of Financial Services (DFS) announced its investigation has found that the car-sharing service RelayRides put New Yorkers at risk through false advertising, unlicensed insurance activity, and other violations. Officials said RelayRides will pay a $200,000 penalty to DFS as a result of the investigation. Last May, DFS directed RelayRides to cease operating in New York for what DFS described as the firm’s repeated violations of the state law. RelayRides represented that consumers wouldn’t be financially liable for accidents or thefts that occurred while using the service, which was not true, DFS stated. Under the agreement, RelayRides’ operations in New York will continue to remain suspended until the firm submits a business plan that DFS determines is no longer inconsistent with New York State Insurance Law. RelayRides also agreed that DFS will have enhanced oversight over RelayRides should it commence operations in New York in the future. The company would be required to submit monthly all of its advertisements and consumer disclosures to DFS for review of potential false and misleading statements. RelayRides is a peer-to-peer car-sharing service that allows people to rent out their vehicles to third parties on the firm’s online reservation system in exchange for a fee. The company’s website says it has car rentals across the country, except in New York. 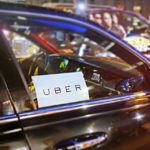 “While we feel that certain language used by officials mischaracterizes the situation, we have been actively working with State officials to bring peer-to-peer car sharing back to New York as soon as possible,” a RelayRides spokesperson said. In a typical RelayRides rental transaction, the firm maintained a $1 million liability insurance policy for injury or damage to third parties. DFS said it is continuing its investigation into New York-based Hudson Insurance, which issued the group liability policy sold to RelayRides’ consumers. DFS also said RelayRides sold insurance and adjusted insurance claims without being licensed by DFS, which is a violation of New York Insurance Law. DFS said RelayRides misrepresented to New Yorkers that they would not be liable for out-of-pocket expenses in the event that the car is stolen or involved in an accident. DFS said its investigation uncovered that those claims were not true and that New Yorkers could be held personally liable for property damage, theft, bodily injury, or death that occurs during the rental. Official also said RelayRides told vehicle owners that the Hudson liability policy would cover the owner, and that the owner’s own policy would not be involved if there was an accident while a third party was renting the vehicle. However, an owner’s personal liability insurance policy provides coverage to any person who drives the vehicle with the owner’s permission. DFS said New York law does not permit an insurer to exclude coverage for a renter. As a result, an owner may have been personally liable for any accident that occurred while the vehicle was being rented. Furthermore, DFS said RelayRides misrepresented to vehicle owners that their participation in the program would not result in their personal liability insurers cancelling or not renewing their personal liability insurance. However, standard New York liability policies do not permit the use of vehicles in commercial enterprises. DFS said RelayRides may have led vehicle owners to violate their liability insurance policies. Officials also said RelayRides failed to disclose to owners that renting out a personal vehicle could constitute a commercial use of that vehicle, potentially causing car owners to violate standard provisions of New York vehicle leasing and finance agreements.